The easiest way to eliminate schools is to consider location. You might want to stay near to your home, and that’s great. Consider schools within driving distance, and say no to schools across the country. Your mom will be grateful. For those of you who’ve always dreamt of sunny skies year round, or to the California girl who daydreams about living somewhere with actual seasons, that’s good too. Think about in state versus out of state costs and consider what’s financially possible for you. Really think about what life would be like without your family nearby. It’s important to consider your vision for the next four years, especially when it comes to location. It’s a cool opportunity to spend four years of your life learning the ins and outs of a new town. It’s also scary. Weigh your options and figure out where you want to be. Hopefully location has cut your list in half. Now you’re looking at some viable options, schools you can envision yourself at for the next four years. That being said, you’ll want to start thinking about your future. Think about your career, and ask yourself the age-old question, “What do you want to be when you grow up?” This isn’t to say that your path for the next four years will be set in stone. In reality you should just start with an idea about what you’re interested in. Of course there are the people who’ve known what they want to be for years, and the 4-year plan is very much in place. But then there are the rest of us. At 7 years old I wanted to be a Barbie doll. Then I wanted to be a “mommy-taker-carer-ofer.” Then I wanted to be a nurse. By the time I was headed to college I just knew I wanted to do something in English. It wasn’t until my sophomore year that I decided I wanted to be a writer. This is all to say that it’s important to think about your future, but don’t feel like you’re signing a contract. 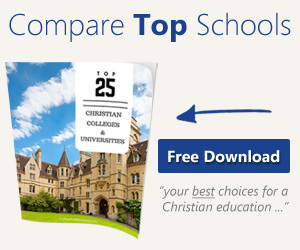 Check out your list of schools and make sure they have major options that interest you. 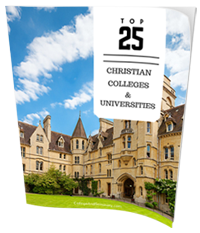 Not every school can offer every major, and this step will hopefully narrow your list. This is the least fun of the steps. Up until now you’ve been somewhere in dreamland, thinking about where you want to live and who you want to be. Now is the time to think about what you can afford. College isn’t cheap, and oftentimes this step means involving parents or other family members. Whoever your support system is, set up a time to sit down with them. Come prepared with information on tuition, room and board, and what the school is offering. Talk about how you plan on paying for college. Consider what scholarships might be available to you. Ask them about the reality of loans, because while the next four years might be the best of your life, there’s no point in ruining the rest of it with bills you can’t pay. This step will remove the impossible from your list, and it won’t be easy. It’s hard to be practical, but you’ll be the better for it. So now you’ve hopefully narrowed down the initial thirty to something of a manageable size. It’s time to get serious and give each school the attention it needs. Oftentimes they have student reps that can contact you and give you a better idea of what life is like on campus. Take advantage of their resources. If it’s possible to set up a visit, take advantage. The gut feeling you have on a tour is important. You’ll be able to tell if you can picture yourself there. It’s also important to organize all of this information. It’s not longer just a dream—it’s a reality, a reality with very real deadlines. Set up an excel spreadsheet with the list of schools. Keep track of important dates, deadlines and costs. Applications cost money and you’ll want to save/prepare. Don’t let the excitement take over; you’ve still got work to do! It’s important to stay afloat. You’re still in school, so you’ve got tests and papers to keep track of. Don’t let the prospect of college overwhelm you. Enjoy this season, the good and the bad. It’s the only time in your life when it’ll feel like the world is waiting for you. The options seem endless, and for a while they really are. Maintain that sense of excitement. Have fun, because no matter where you end up, it’ll be great.